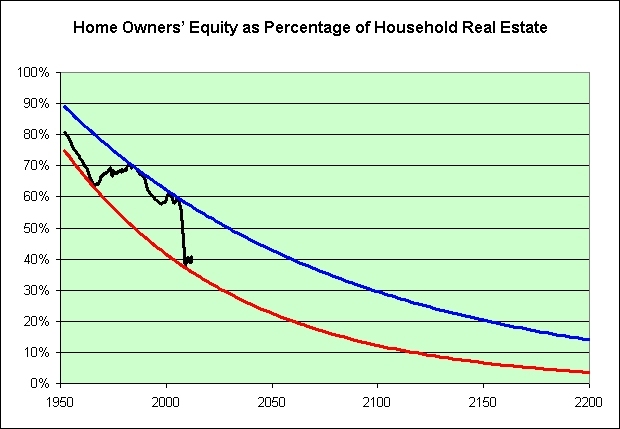 "There's No Housing Bubble to Go Bust"
Two steps forward, one step back. Well, sort of. It's not as bad as it looks. I was extremely active in the month of September. I definitely had an appetite to match (this is NOT a diet plan). That said, at least some of this might actually be muscle gain. I can really feel it in my legs. 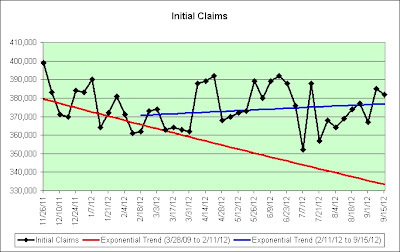 I knew it was going to be an active month so I actually tracked it. Here's the summary. That's 4.5 miles of vertical climbing. This is far more activity than I did last September. 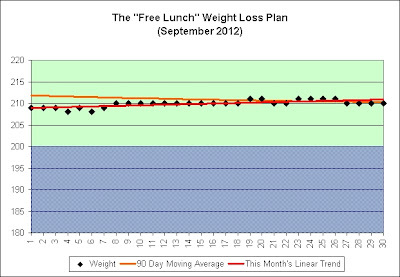 It completely blew out my minimum 20 flights of stairs per day minimum goal. I did just the minimum on 5 of the days though. It was nice not to feel pressured to do more. Some days I'm just not that into it. 8,000 vertical feet on the stair stepper was actually done in two 4,000 feet marathon sessions. I watched Serenity (again) during one of them and Rise of the Planet of the Apes during the other. That marks the 3rd time in my life that I have done 400 flights on the stair stepper in one day. The last was a record time (just 108 minutes). It's definitely getting easier. I did two marathon sessions (at a much, much slower pace) last September while watching two movies. How weird is that? September must be marathon movie month. Go figure. The past two nights I did a bit of a marathon. On Wednesday, I watched the movie Devil while climbing. On Thursday, I watched The Green Hornet. It was a leisurely pace but that did add up to an extra 200 flights each day. Once again, I would not have had the desire (or ability) to do that had I not been climbing the 20 flights each day. As a side note, neither movie was particularly good. I'm right on the trend lines. All things considered, I'm actually feeling pretty good about it. I lost a lot of weight last October. It will be interesting to see what happens this year. Is it seasonal? Or not? If it is seasonal, then I may have a secret weapon this winter. I now feel that I am in good enough shape to enjoy ice skating again, I own hockey skates (not that I've ever played hockey on ice), there is an ice rink just 2 miles from my house, and I have a 20-session skate card with 15 left on it. I can't say for sure if I'll find the motivation, but the stars seem aligned. And lastly, my diet changed a few days ago. It has nothing to do with losing weight. I have had gluten sensitivity symptoms for years and am curious if that's the cause. This will be the 4th consecutive day that I haven't eaten any gluten. The results so far are encouraging. 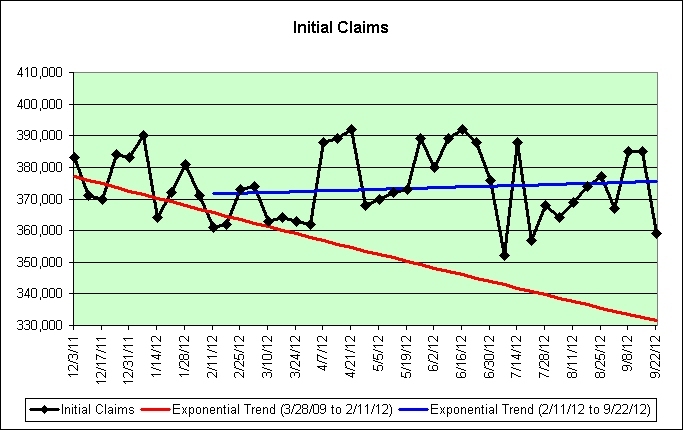 I'm going to avoid gluten for the next few weeks to see if the trend continues. 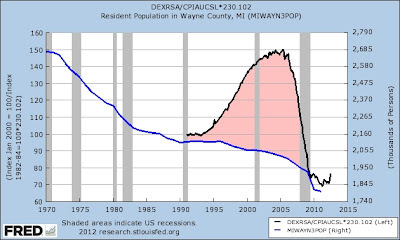 The blue line (right scale) shows the declining population of Wayne County, Michigan. 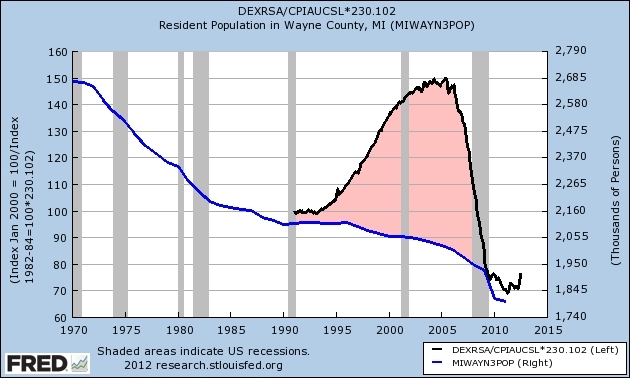 The black line shows Detroit's housing price index adjusted for inflation (left scale). That red part between the two lines? Well, that's open to musical interpretation. Yes, it is yet another post filled with gallows humor and sarcasm. Sigh. This post inspired by Troy and Mr Slippery from the comments of the last post. 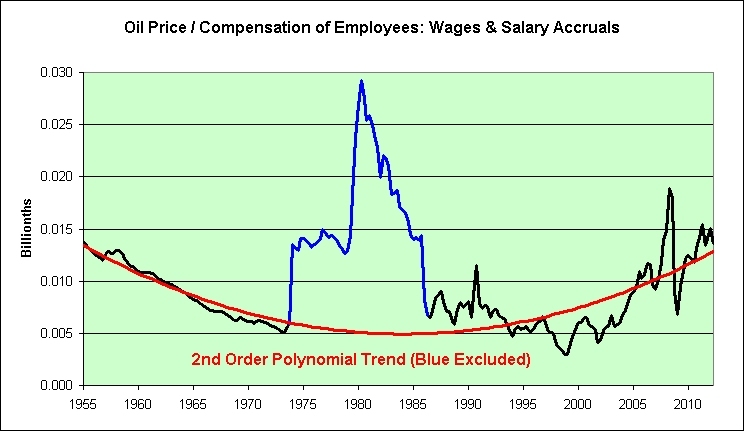 Behold the sheer awesomeness of the 2nd order polynomial trend line. 3. With sarcastic use, means that something is not awesome at all. A lower and calmer tone of voice is used, and is generally followed by derogatory physical action such as a shrug or eye rolling. With sarcastic use, the awesomeness could even be followed by a derogatory musical tribute. This post was inspired by Troy's comments in this post. 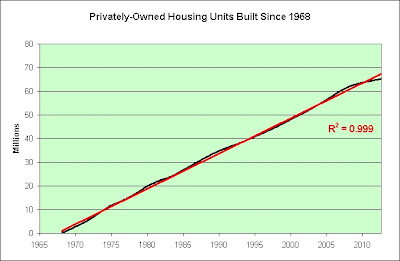 The construction of housing units has been growing linearly. Our population has been growing linearly as well. 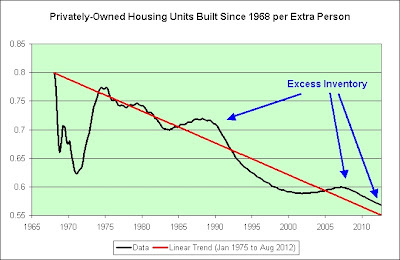 There continues to be excess housing inventory compared to the declining long-term trend. 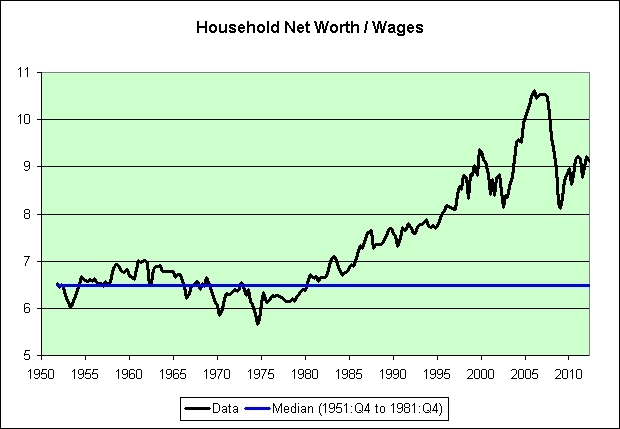 As a side note, I probably wouldn't read too much into the dip in the late 1960s and early 1970s. 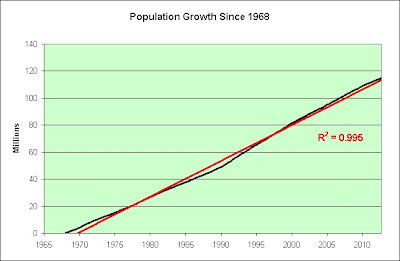 It was so close to 1968 that even minor variations in the cumulative data would get amplified. That said, I think home builders were unprepared for the increased demand of that era. 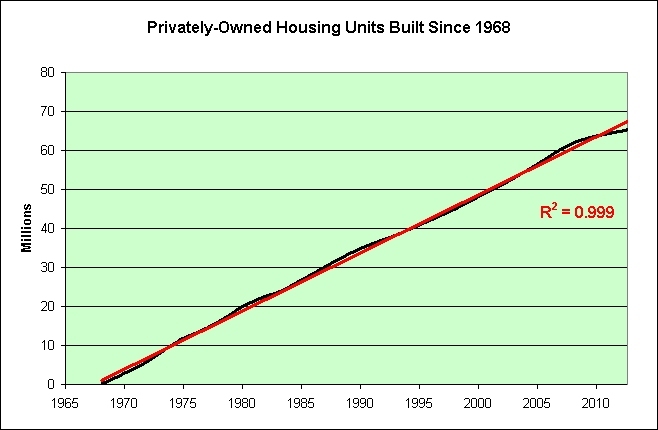 I think it would be safe to say that there was no housing bubble in 1971. 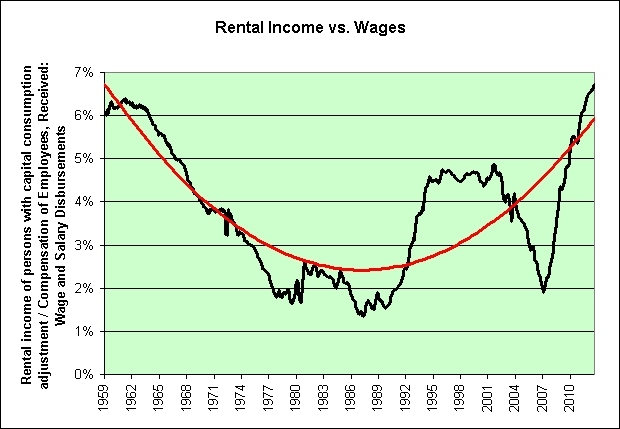 Is it any wonder that our government landlord could only spot the housing bubble after it popped? SEATTLE -- The high cost of providing aid cars for accident victims has one local fire district thinking about charging for the service, and that bill could cost accident victims more than $600. I was under the mistaken impression that I was already paying for the services provided by local fire departments. 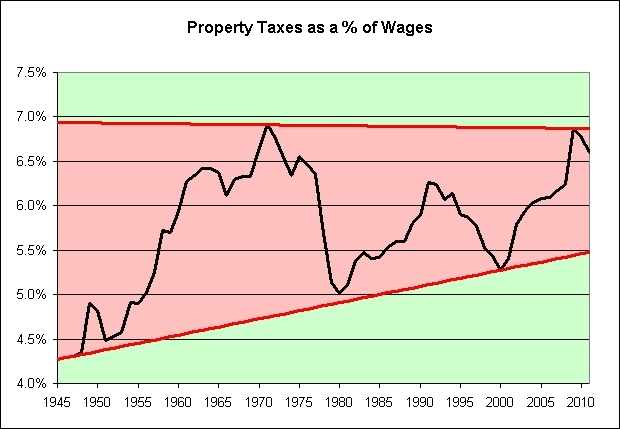 The amount of property tax you pay depends on the cost of state and local government, including the operating costs of schools, roads, parks, libraries, hospitals, city and county government, and your local taxing districts such as ports, fire districts, utility and sewer districts. In my defense, I blindly believe everything that I read. Someday I'm going to learn to separate the illusion from the reality though. Keep the faith! I'm gonna need to go ahead and pass on that. 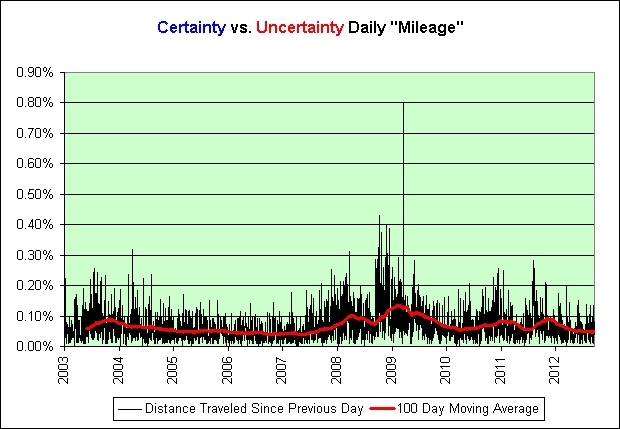 I have some long-term expenses coming in, and I need all the long-term certainty I can get. So if someone else could just go ahead and buy stocks for me so the economy doesn't utterly collapse, that would be terrific...mmKAY? 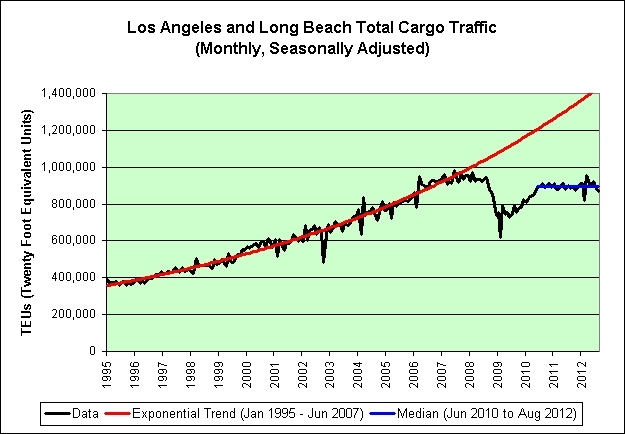 In 2000, some might have argued that we were not growing this trend exponentially (at least from 1975 to 2000). That illusion is now over. 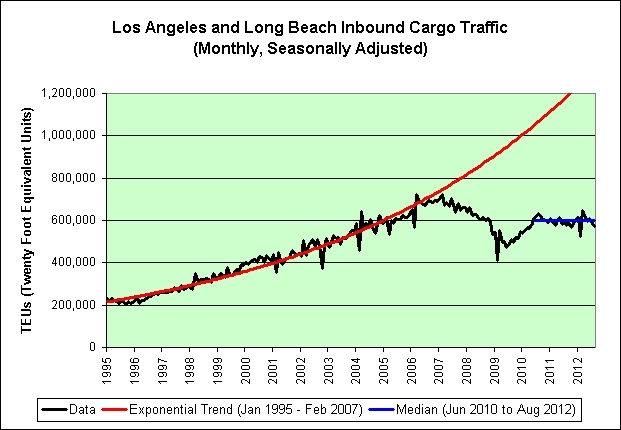 There is a clear long-term exponential growth channel and we're right in the middle of it. This cannot work long-term. 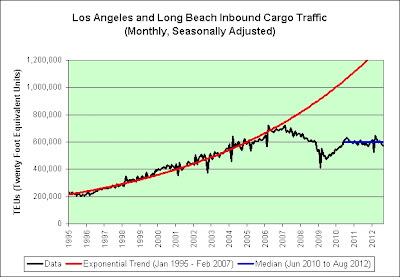 All exponential trends eventually fail, some sooner than others. When factoring in 200+ years of American history, this one will definitely fail in the sooner camp. Will it fail in my lifetime? Who knows? 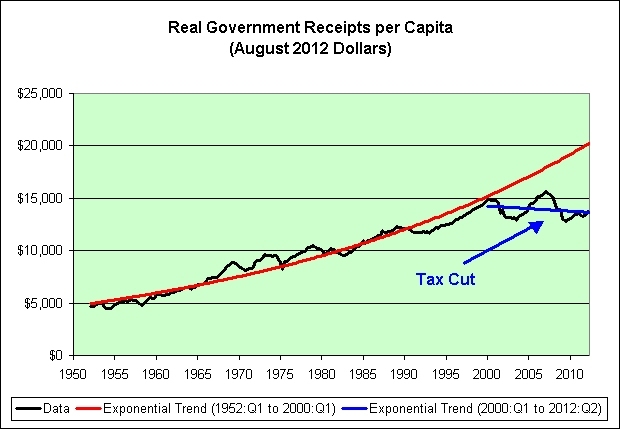 In any event, at some point we will need to start raising taxes and/or start lowering social benefits. Both solutions will be very painful. The longer we wait, the more pain there will be. Those actually pushing to cut taxes are just whistling past the graveyard. 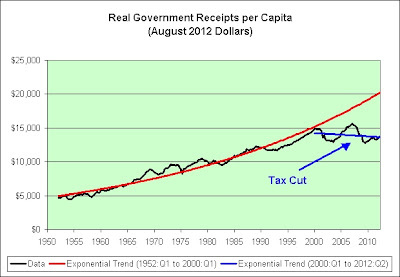 As seen in the following chart, taxes have already been cut! 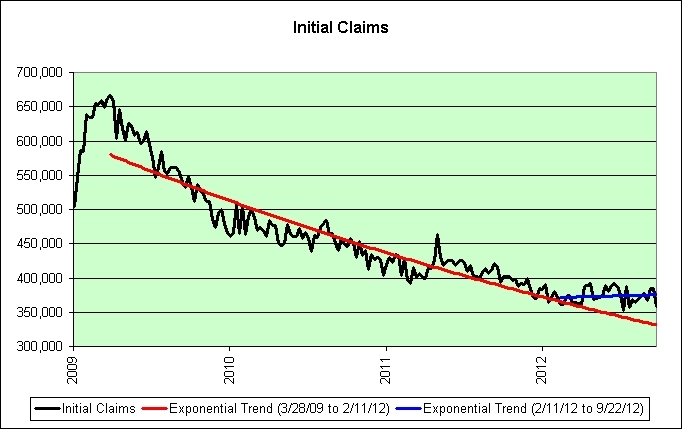 This is yet another exponential trend failure. And why? People can't pay payroll taxes if they aren't on a payroll. They can't pay capital gains tax if they don't have any capital gains. They can't pay tax on interest if they aren't earning any interest. Team Romney keeps shaking that Etch-A-Sketch. 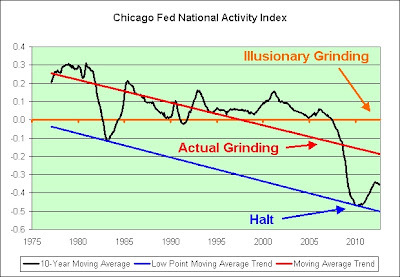 Mr. Romney’s positions change so fast you get dizzy trying to keep up with the latest shift. 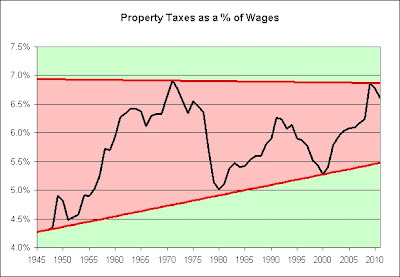 Yesterday a Romney spokesman said Mitt might not cut taxes and may have to raise taxes on the rich after all. This is because the math just doesn’t support the impossible promises Mr. Romney is making about his proposals. 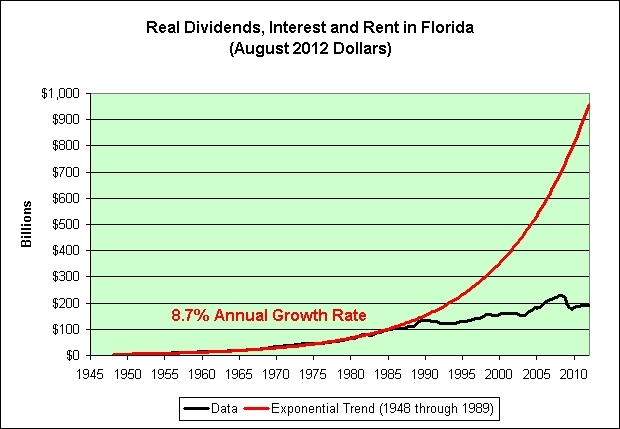 I don't think it should take a PhD in Economics to realize the implications of the following chart. 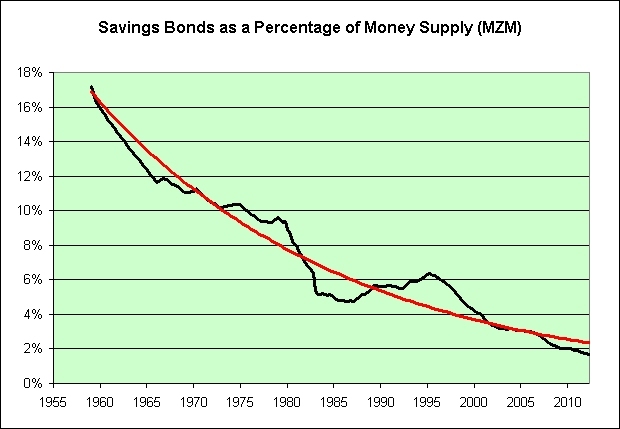 Upside-down parabolas in zero bound worlds are not known for their long-term sustainability. In my opinion, it is insanity to think that more of the same will somehow magically save us. 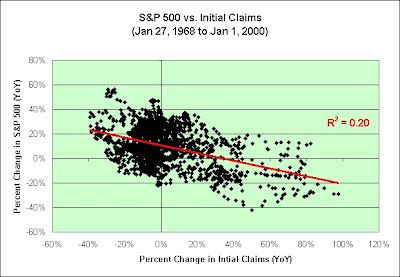 Since 2000, there has been a high correlation between initial claims and the stock market. It's all about jobs, jobs, jobs! 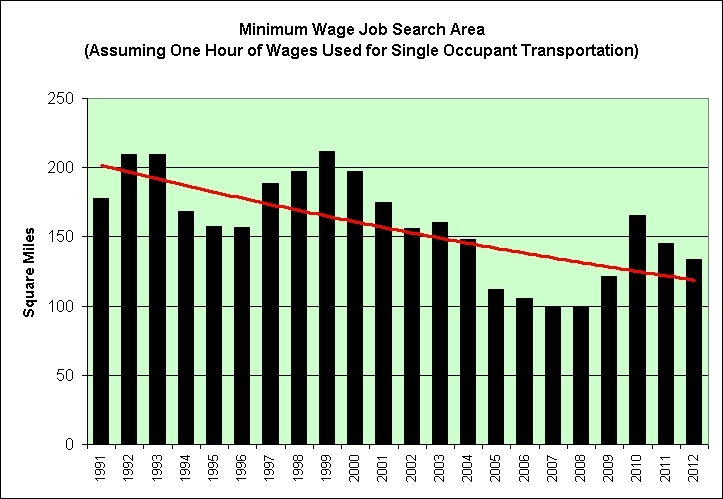 Before 2000, jobs were a given apparently. 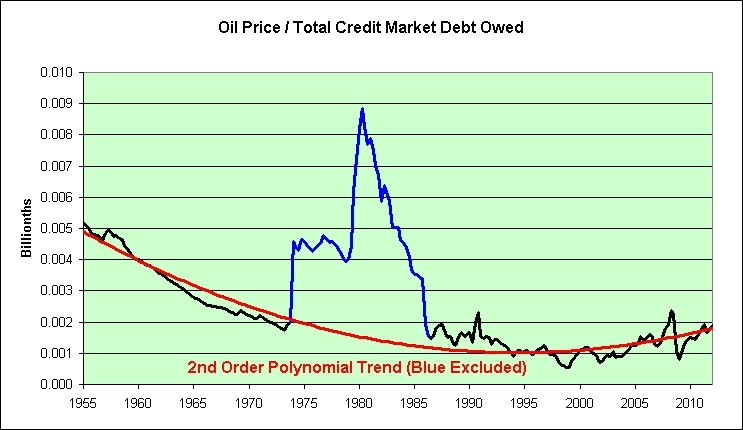 Any short-term cyclical problems would soon be solved. That's my take on it anyway. It's just an opinion. This post inspired by jeff in the comments of an earlier post. Stoner A: Hey man, you got any drough? Cannabis Provider: Yessir, straight drough, no seeds no stems. Stoner A: Far out dude, I'm really getting sick of sorting through seeds. There's no need to be disappointed. We are right on the declining long-term trend! More dogs! More ponies! More of the same! Hurray! 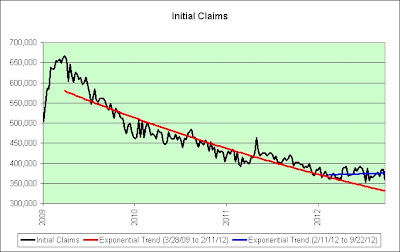 I know this is going to come as a big shocker (unless one glances at the red line in the chart above), but last week's initial claims were revised up by 3,000. It mark's the 65th straight upward revision to the previous week's data. That would be a really nice chart if it wasn't for two minor details. Head and Shoulders is an extremely useful tool after its confirmation to estimate and measure the minimum probable extent of the subsequent move from the neckline. To find the distance of subsequent move, measure the vertical distance from the peak of the head to the neckline. Then measure this same distance down from the neckline beginning at the point where prices penetrate the neckline after the completion of the right shoulder. 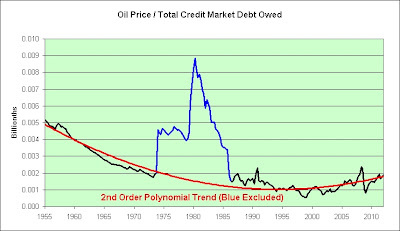 This gives the minimum objective of how far prices can decline after the completion of this top formation. I'm not a big fan of technical analysis, but those who are might suggest that completing the right shoulder could ultimately take us to the blue trend line. As a believer in return to the median theories (as a general rule), who am I to argue differently? 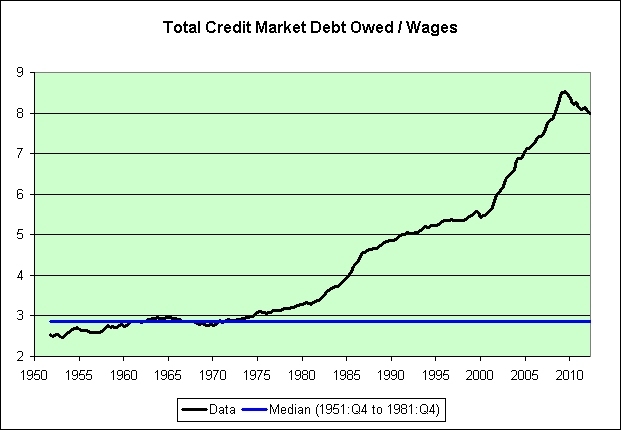 Just look at all that debt. 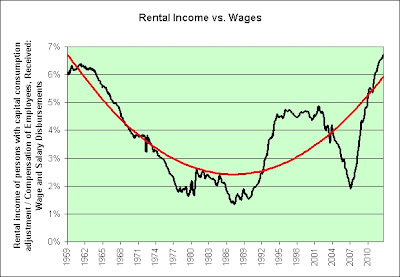 It's equivalent to EIGHT years of national wages. 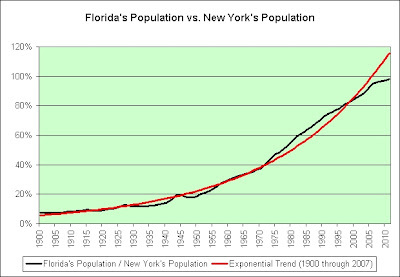 Let's combine the two charts. 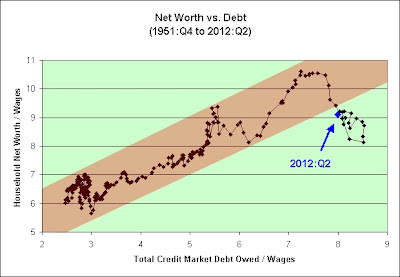 It would seem that we cannot grow our debts to infinity in order to grow our net worth to infinity. Big shocker. 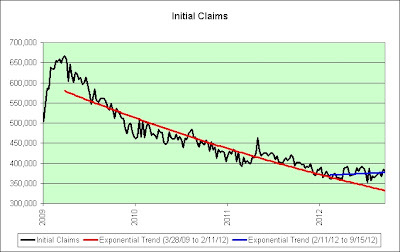 That said, we're certainly trying to claw our way back up to the channel and resume the former trend. Good luck on that one long-term. Sigh. 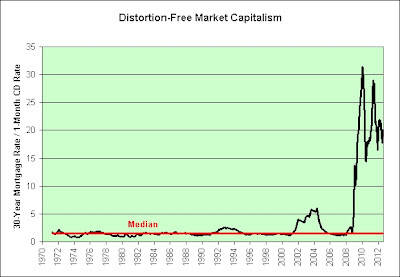 There is only one thing better than free market capitalism, and that is distortion-free market capitalism! Yes! 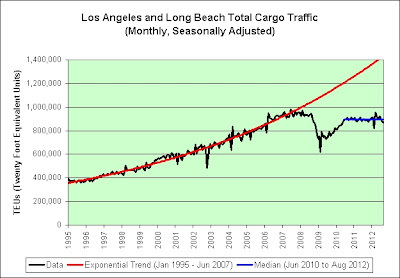 Behold in wonder at the efficient market in action! The new lens is flat, distortion-free and so small that more than 1,500 would fit across the width of a human hair - capable in the future of replacing lenses in applications ranging from cell phones to cameras to fiber-optic communication systems. 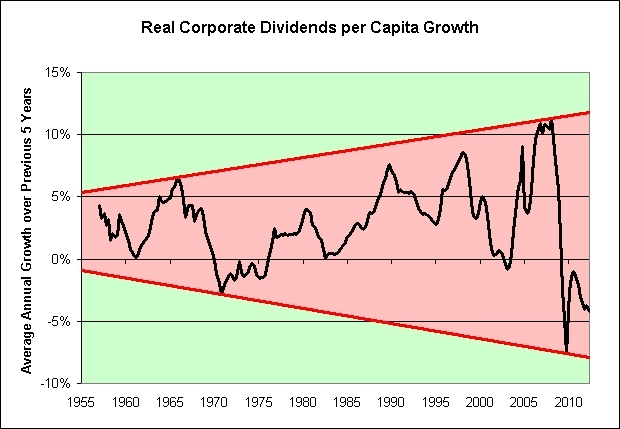 The new economy is flat, distortion-free* and real growth is so small that it's hanging on by a hair. Coincidence? I think not! 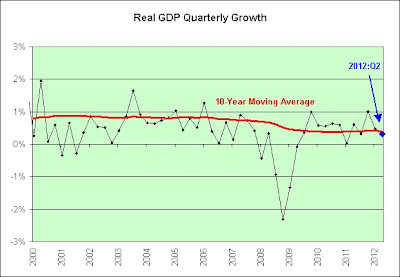 * There may be a few tiny little distortions but let me assure you that they would be extremely difficult to spot on a chart (especially a chart with a green background and a red trend line). Once a conversation is slowly grinding to a halt, simply say "loo bee doo" to get the conversation flowing again. For the love of all that is holy, loo bee frickin' doo! 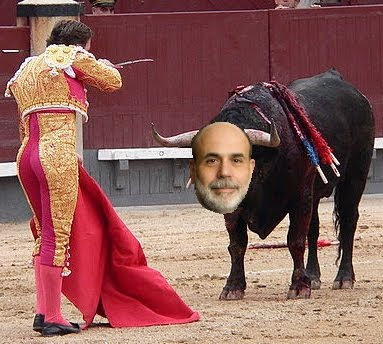 This post inspired by CFNAI Yellow Alert as seen at Dollar Death $piral. U.S. house prices have risen by nearly 25 percent over the past two years, noted Bernanke, currently chairman of the president's Council of Economic Advisers, in testimony to Congress's Joint Economic Committee. But these increases, he said, "largely reflect strong economic fundamentals," such as strong growth in jobs, incomes and the number of new households. An elephants' graveyard (also written elephant graveyard or elephant's graveyard) is a place where, according to legend, older elephants instinctively direct themselves when they reach a certain age. They then die there alone, far from the group. 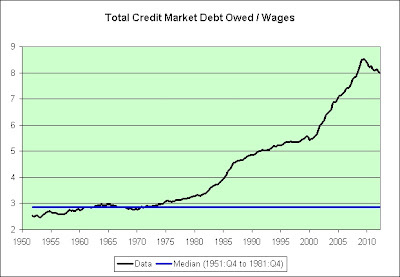 The 1980s and 1990s are over. Welcome to the new century. Stick a fork in it. This trend is over. Real earnings for young grads with a college degree have now declined for six straight years. "Real average earnings for young grads have fallen by over 15% since 2000, or by about $10,000 in constant 2011 dollars," PPI reports. There's clearly a shortage of "qualified" college graduates. 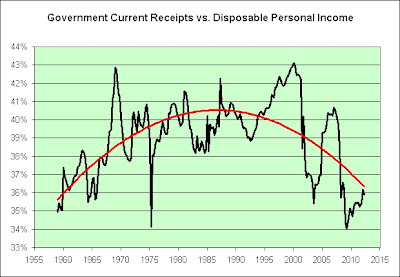 Just look at those rising incomes! This post inspired by About That Education Bubble ... as seen at The Echo Boom Bomb. In my opinion, trading is a very crowded trade. 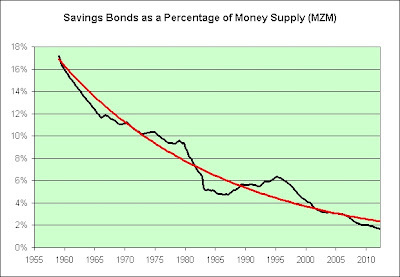 MZM has become one of the preferred measures of money supply because it better represents money readily available within the economy for spending and consumption. 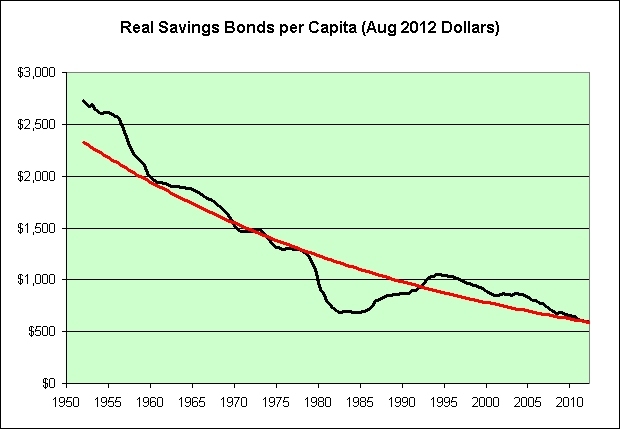 Disclosure: Roughly 1/4th of my net worth sits in long-term savings bonds (purchased every year since 2000). This is not investment advice. This is my 10th attempt to solve all of our problems. I know my solutions haven't worked out so well in the past, but this time I have consulted the wise and all-knowing Internets. Apparently this was happening all day long when they were not at home. Don't ask me exactly how it works. It just does, and we desperately need to do more of it! It's the ultimate public works project! Everyone stays employed! Everyone stays busy! Everyone works from home! Solutions to All of Our Problems! 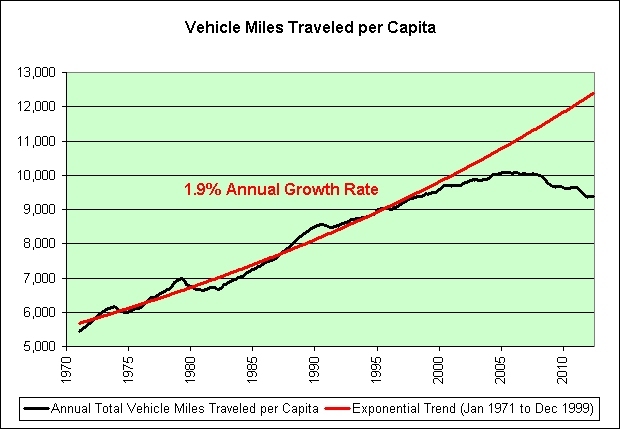 I guess the good news is that the exponential trend hasn't failed. Sigh. 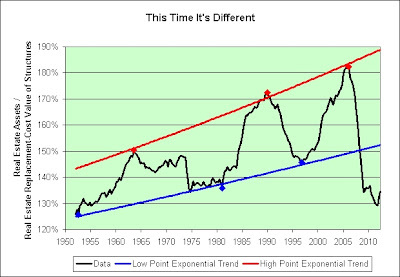 We just keep drifting further and further away from the red trend line. 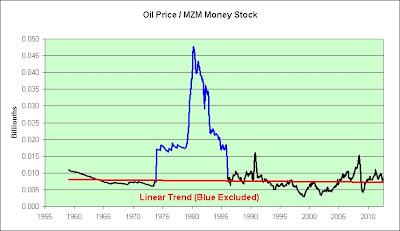 The slope of the blue trend line is not consistent with euphoria, to put it mildly. For those keeping track at home, this week mark's the 64th straight upward revision to the previous week's data. Here's a fun way to spend the afternoon. Take 64 pennies, shake them up, toss them onto a table. Repeat until they all come up heads. You have an 18 quintillionths (million-trillionths) of a chance (1 / 2^64) with each attempt. Enjoy! Most restaurateurs know there are simply not enough qualified applicants for the positions they need to fill. It would seem that our country's many colleges are not pumping out enough food preparation and serving workers yet. "But there are still some concerns because U.S. restaurant companies remain vulnerable to prolonged economic weakness, persistently high unemployment in the U.S., and increasing commodity and labor costs. Furthermore, this summer's severe drought will likely push food costs up making it difficult for restaurants to pass increases on to customers," Ms. Borysiak added. Not all construction employees build houses. 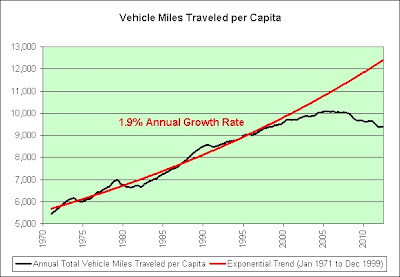 That said, these unsustainable exponential growth trends are quite impressive. 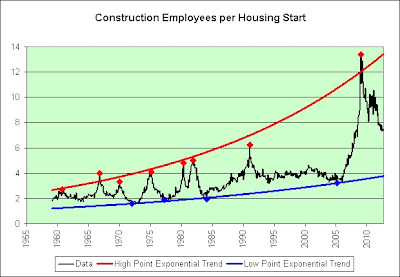 Should these trends continue to the year 2100, then the high point trend will have a whopping 187 construction employees per housing start. No joke. If you wish to bet me on that outcome, then I'll take the under! It doesn't end there though. 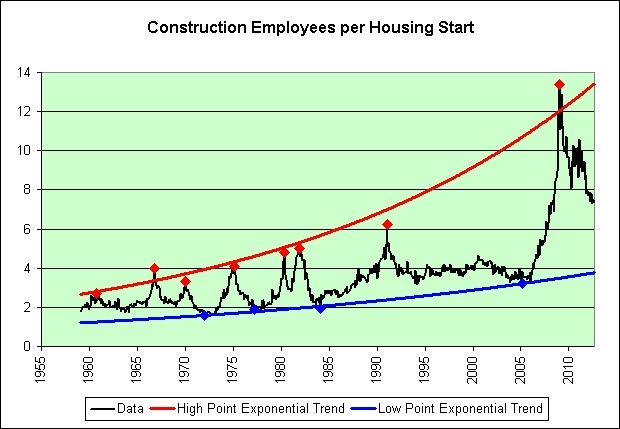 In the year 2100, even the low point trend will have a staggering 24 construction employees per housing start. I'll take the under on that one too! 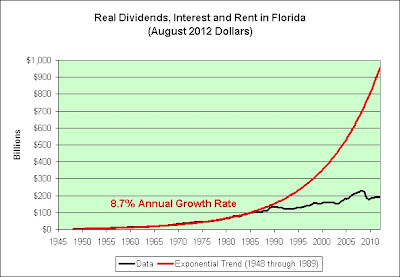 This chart has long-term exponential trend failure written all over it. I would even go so far to say that it may have already failed and that we just don't have confirmation yet. The Fed announced today that it will be buying up the world's oil supply before the next country does and will continue doing so until the economy improves. Yeah, that's what I'm talking about. Give it some thought. Let it sink in. I have no idea why the government doesn't come to me for solutions. I'm full of them! 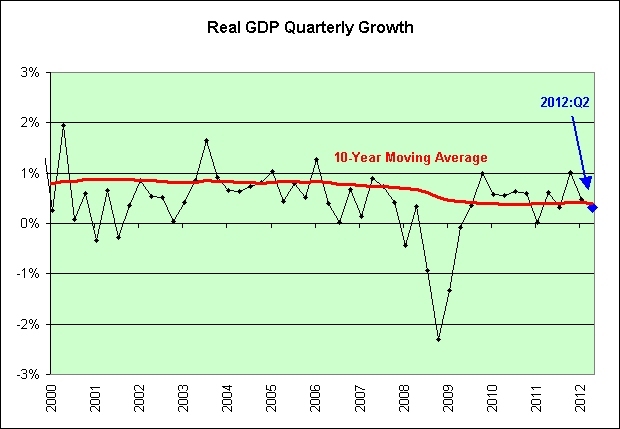 As the old saying goes: "Rome wasn't built in a day" -- and neither was its economy. 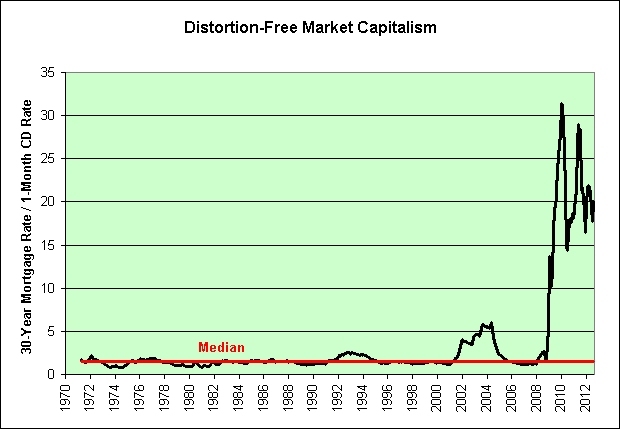 It would seem wiser to finish taking our bitter medicine now and let the market recover more naturally over time. But we don't and we won't, because our leaders have become addicted to a false sense of prosperity. We all know "there ain't no such thing as a free lunch" -- but printing money from thin air gives us the illusion that there is; and, unfortunately, the prevailing mentality at the Fed seems to be that the bubbles must be reflated at any cost. I'm a believer in the illusion of prosperity. There's something about that paragraph that makes me question my beliefs though. Here's the crazy part. The answer to that question appears to be a resounding yes, lol. Sigh. There's never been a better time to buy a company-owned-and-operated store from a company that no longer wishes to own it. I'm buying one before the next guy does! How much will it take to get me started? The full report costs $1,500. At $1,500, I can only assume that the report comes with a $1,299 Electric Cruzin Cooler to help get my new fast-food business off the ground. Fantastic! Where do I send the check? It might just be me, but I'm going to side with the government on this one, lol. This post inspired by Dori Monson. I heard the soundtrack to this video on the radio today. Why do I suspect that it is our plan? That's easy. 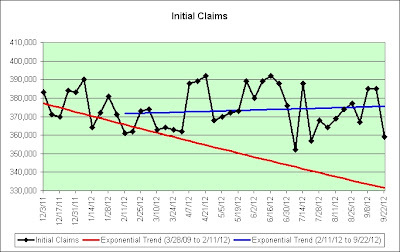 I was curious what the chart would look like but I didn't actually have to calculate the data myself. 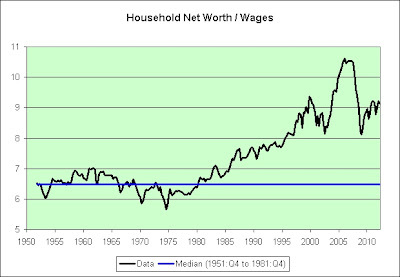 Note that it is broken out as the last line item of Table B.100 Balance Sheet of Households and Nonprofit Organizations (pdf). Apparently I'm not the only one who wishes to see it. The first table in a file is generally where the good stuff is. Check! The last line in a table is generally where they put the really good stuff. Check! Our founding fathers would no doubt have been so very proud of our ability to embrace debt as a way to gloss over any long-term financial difficulties we might have. Organizing it neatly within tables for the benefit of the general public is just a bonus! 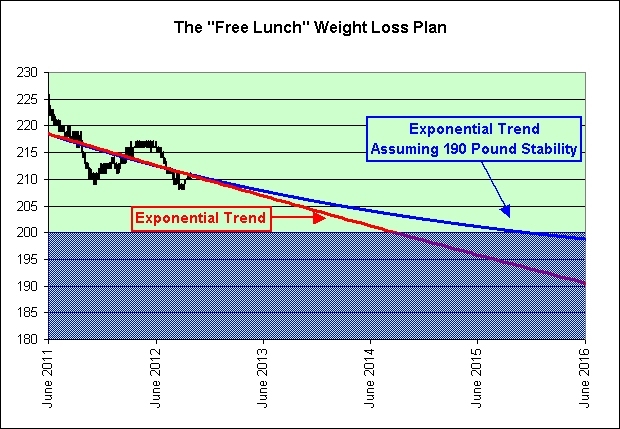 As seen in the exponential trend lines, we are definitely sticking to the plan so far. Isn't it wonderful? 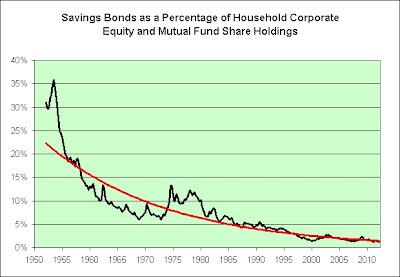 This chart is like watching a drunk driver trying to navigate home at 2:00am on a Saturday morning. Where are you headed now Ben? You might want to stick to the blue or purple trend lines. 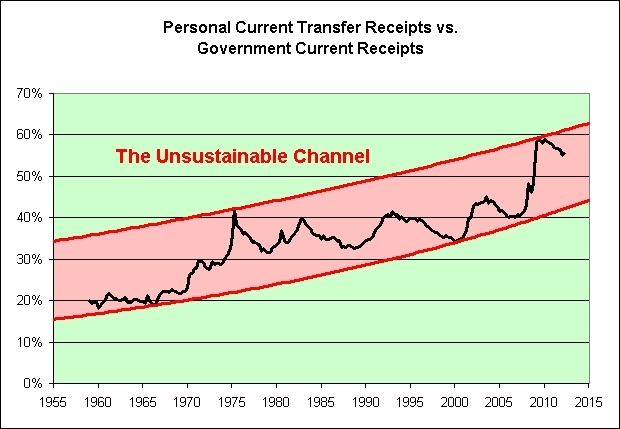 Exploring that upper left portion of the chart will give us stagflation (or worse). I know, I know. You were nearly on the deflationary right sidewalk a bit earlier and have a fear of it now. That's understandable. 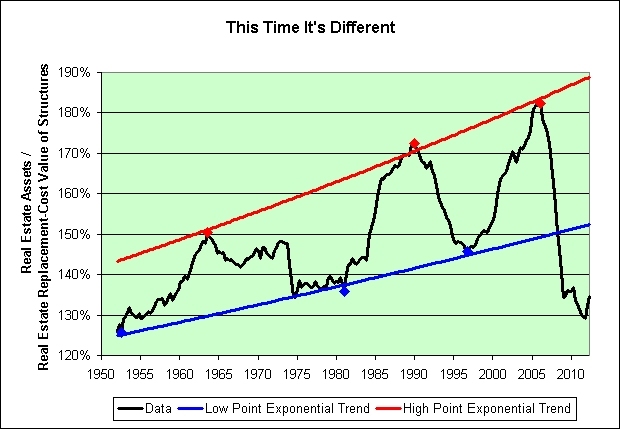 Sober up or you will eventually ruin the purple trend line's high correlation though! Note the slower driving speed. Trust me on this. It's a good thing! Slower speeds do less damage on impact, lol. Sigh. Let's check out 2012's Bondmageddon while we are here. 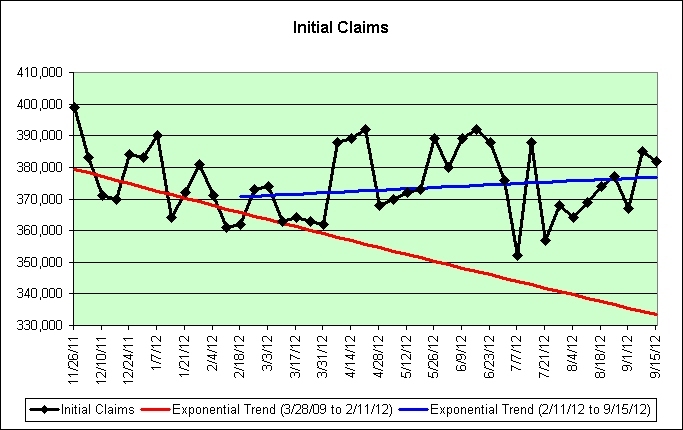 The recent upward trend is definitely worth noting. 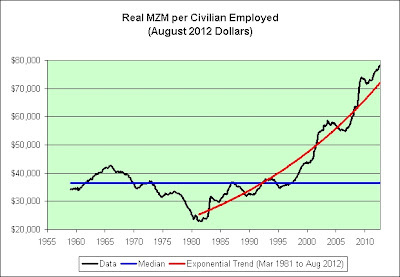 However, where we are compared to 2012's median is worth noting too. Panic? Yawn? You make the call. I am relatively indifferent. 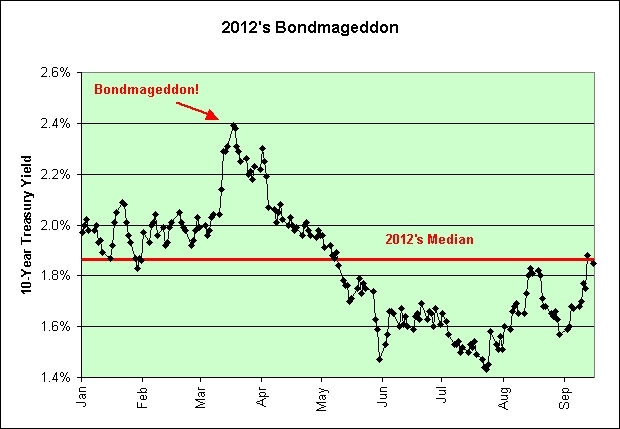 And finally, let's see how Jeremy Siegel's great TIPS bond bubble bust of 2011 is proceeding. 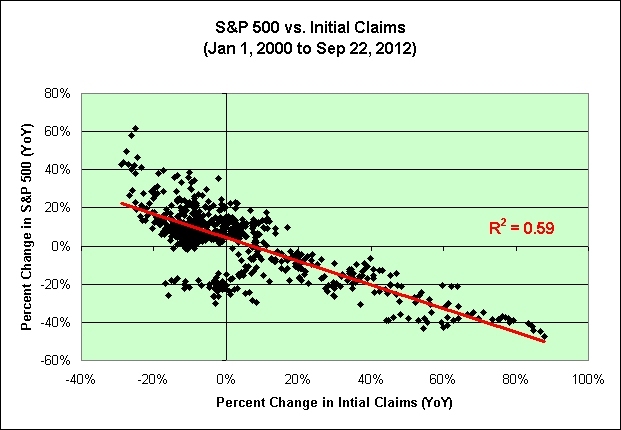 Real interest rates have risen *so* much since he predicted they would in February of 2011. It's amazing to look at. Score one for the ivory towers! 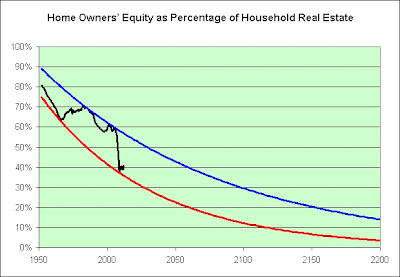 Assuming that I'm not being sarcastic, CNBC needs to have more Wharton School professors of economics on to tell us how not to invest/save next! 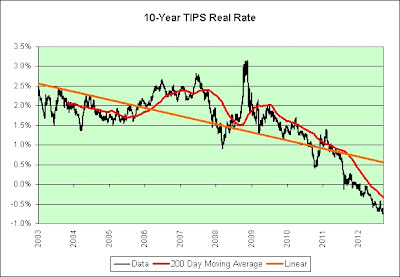 In all seriousness, Friday's 10-year TIPS hit a record low yield of just -0.76%. 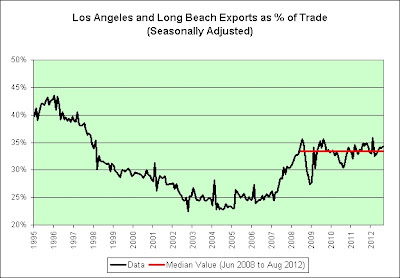 Will this economy's wonders never cease? 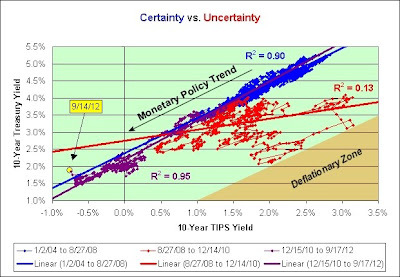 As a long-term holder of TIPS and I-Bonds, I find this all incredibly unexpected. 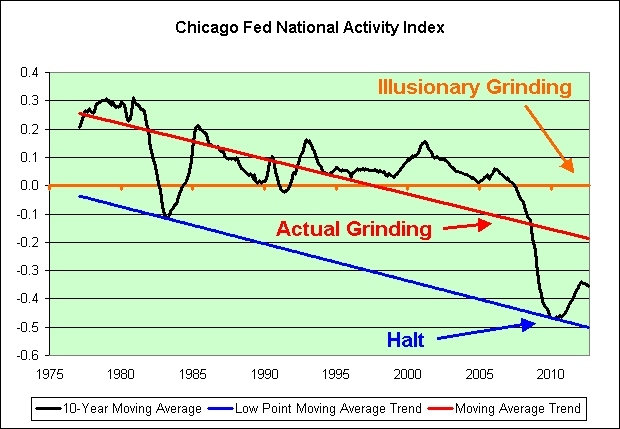 In an effort to up the horror factor of this blog, I offer you three of my scariest charts yet. 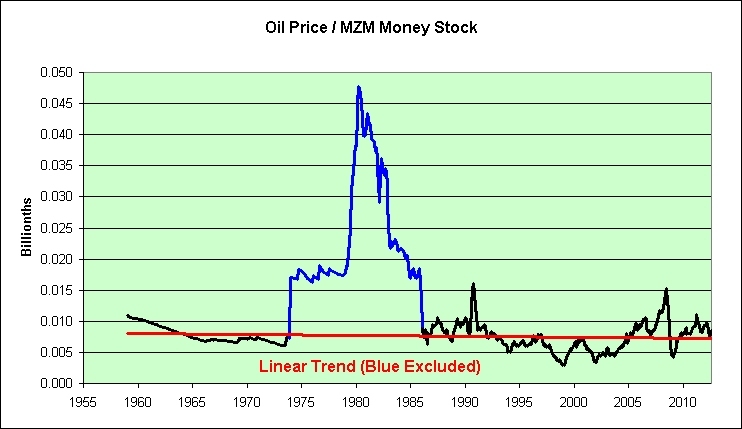 Note that the high price of oil suddenly doesn't seem all that high. 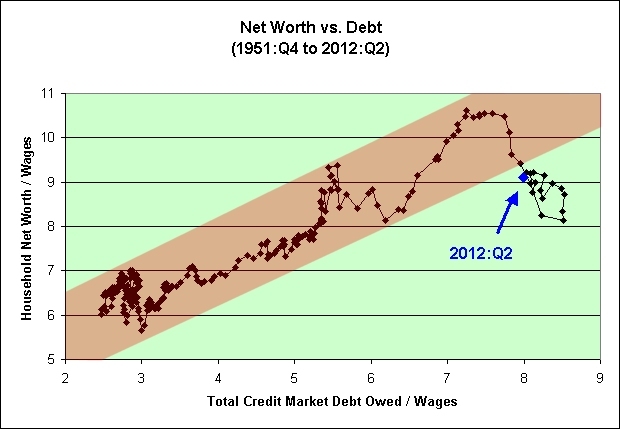 Let's not dwell on it when there is a scarier chart to show though. 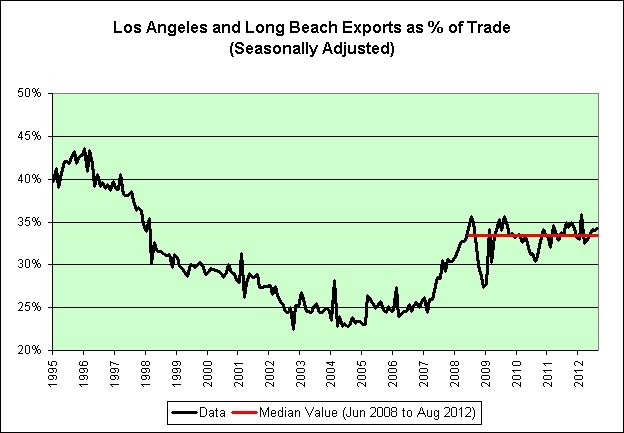 Linear trends don't fit this chart. I had to move to a 2nd order polynomial. Once again, let's not dwell on it. 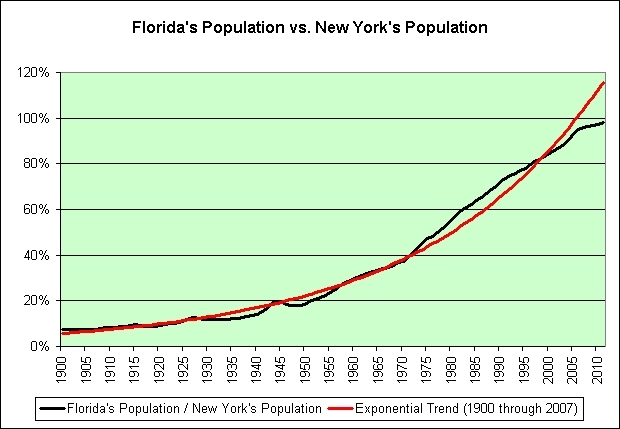 There is an even scarier chart to show. 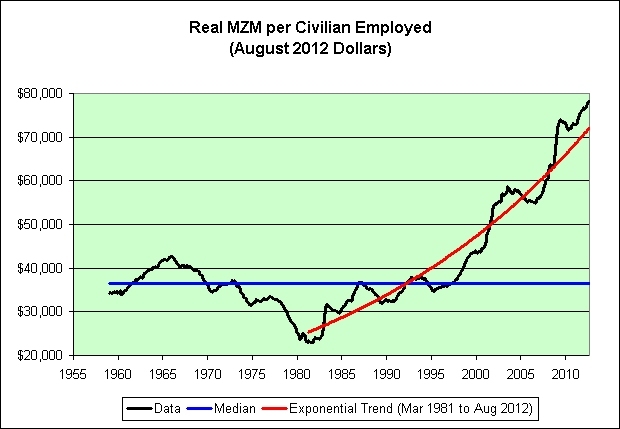 Based on the long-term implications of this last chart, what are the odds that the Fed's expansionary monetary policies will save this economy over the long-term? In general, how well have the policies worked since 2000? In my opinion, not that well. 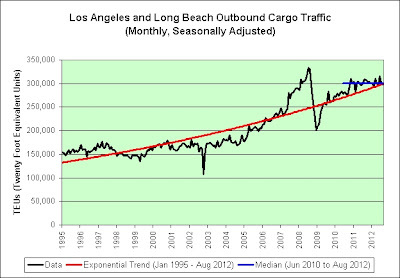 All exponential trends eventually fail, but this one sure has legs. Who am I kidding? It isn't a battle. It's a "winning" combination! Sigh. Follow me behind that red cape just one more time and I swear to God and all that is holy that endless streams of prosperity will soon be yours! 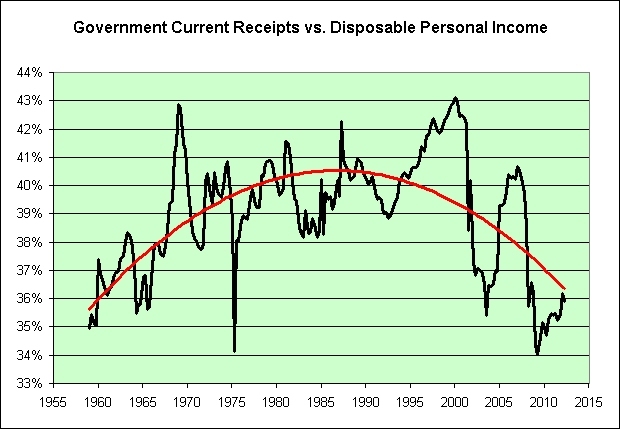 Still, worries will start coming up about the dollar getting debased and inflation as the U.S. prints money. You could see those concerns rising Friday as investors pounced on commodities — everything from copper to gold. Oil was climbing too, but it was difficult to sort out the impact of Middle East unrest from investors pouring money into commodities. This post inspired by Troy's "red cape" comment from the last post. 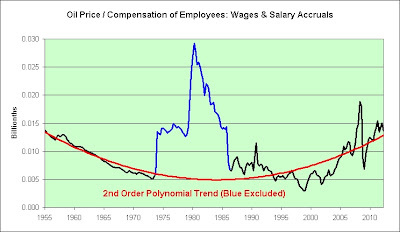 The chart above shows the circular area your job must be in if you are earning minimum wage and are "only" willing to spend one hour of your wages getting to and from work. It also assumes that the path to your job is a straight line. No turns allowed! I'm using the I.R.S. 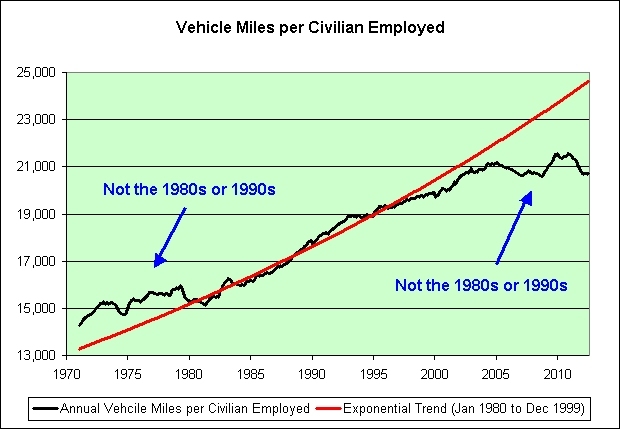 business mileage deduction to calculate the total cost per mile. 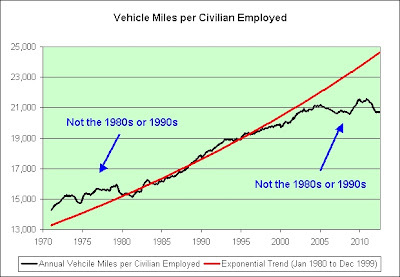 In theory, it factors in all the costs associated with using a vehicle (not just gasoline). As of 2012, your job must be within 6.5 miles of your home (134 square miles). This is down from the 8.2 mile peak set in 1999 (212 square miles). This compares somewhat unfavorably to what Jamie Dimon's $23.1 million pay package can do for him. 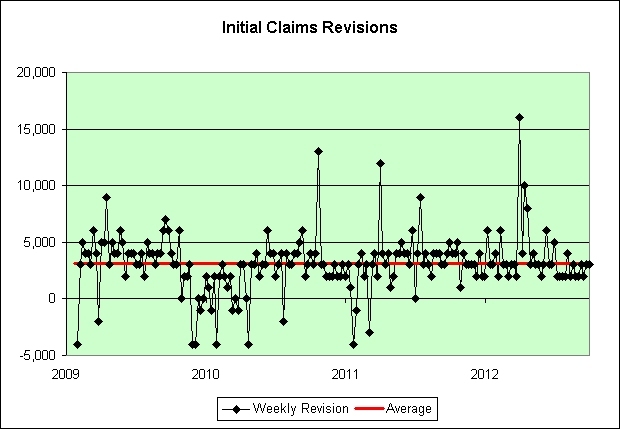 His effective job search area is 201 million square miles (assuming 52 weeks x 50 hour workweeks). The surface area of the earth is 197 million square miles. 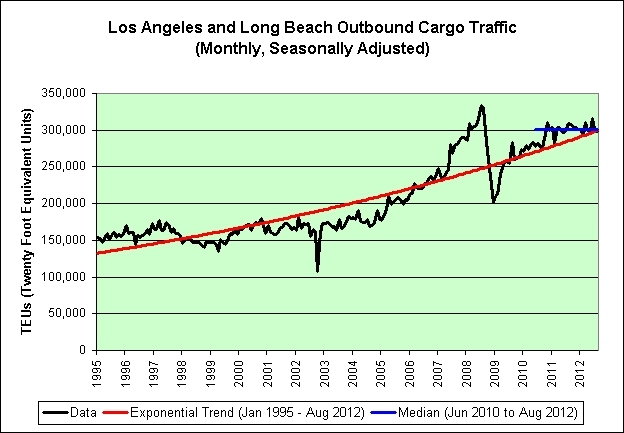 Surprising as it might seem, he does not appear to be constrained by rising transportation costs. Perhaps that explains some of his overwhelming optimism. NEW YORK (CNNMoney) -- JP Morgan Chase CEO Jamie Dimon was overwhelmingly optimistic Monday -- but was quick to say things would be even better were it not for government policies. Royal flush or royally f**ked? You make the call. Sigh.